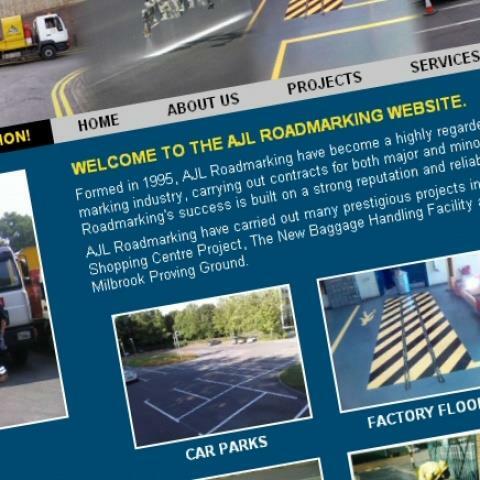 AJL Roadmarking are a Roadmarking Contractor carrying out some 70 to 90 individual contracts per month to both regular and one off clients. The majority of these works involve an initial enquiry sheet, an emailed estimate prior to works being carried out, orders being received from the client, work instructions issued to crews and invoicing. Tektonic designed and built an automated office system to allow AJL to carry out its quotations and billing system with much greater efficiency. 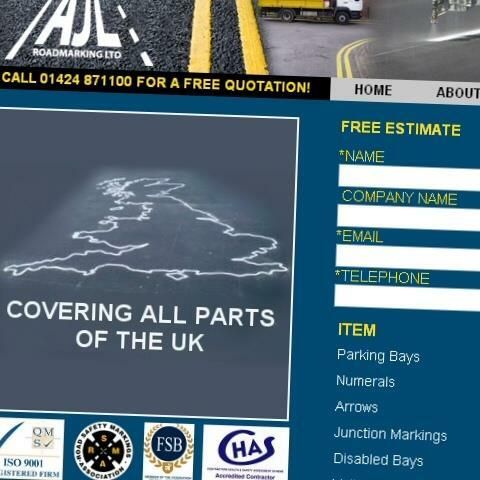 Based on web technologies, AJL can now administer their quotation procedures from multiple locations and use the resulting reporting, to calculate financial information relevant to running the business. 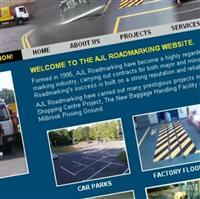 AJL also commissioned a website that incorporates a Content Management System. 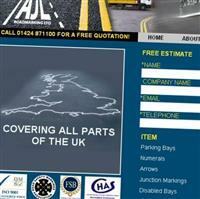 This enables them to edit their website and make changes to their services, gallery images and allows prospective clients to upload plans for a free quotation. 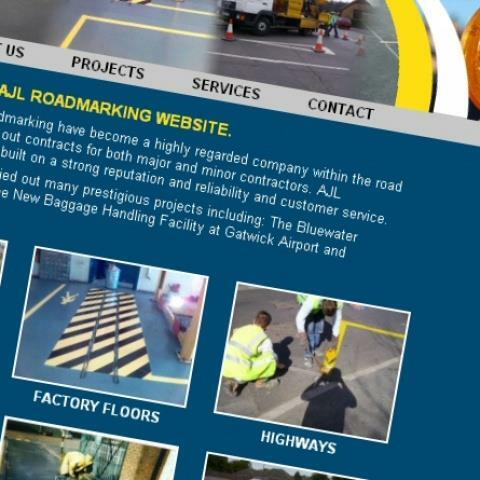 In addition to this, the Client also required a News and Project module, which allows them to display the latest information about their business and for the website to act as an effective portfolio to any prospective Clients. Tektonic Limited came to our rescue with a tailor made data base for us ! Now we simply enter details for the initial enquiry and estimates work sheets and invoices are produced at the touch of a button. This has also enabled us to issue invoices the very next day as every job does not have to come back through me. A simple colour scheme has made it easy for us to monitor jobs that are incomplete or still on the system 10 days after the order has been received. These features have made our whole operation more efficient, sped up the whole process, reduced the human error factor, saved costs and made it easier for clients too! Finally, I would also like to express our gratitude to Tektonic. They have been available for additions, queries and verification since the first day the product went in. They are very quick to respond, flexible to handling our needs, and truly are a 'can do' Company. I would recommend Tektonic Limited to any organization. Prior to our involvement with Tektonic Limited, all AJL processing was done completely manually - that is each and every estimate was typed into an accounts package, orders received were clipped to the estimate in a file, work instruction sheets were hand written and invoicing was again typed into the accounts package. The tracking of these works was almost zero and done mainly on a manual diary system. Naturally, as we grew, this work became more and more time consuming - culminating in an almost 'full time' job for one of our admin people. Given the laborious nature of this work, mistakes were bound to happen (upwards of 840 jobs per year with 5 separate actions per job! ).